The Nigerian film industry – known as Nollywood – is the established hub of the African film world. This weekend, though, North Texas audiences will get a chance to see movies made in Cameroon, Ghana, Uganda and other countries across the continent. This week, we preview the African Film Festival. 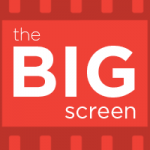 Subscribe to The Big Screen on iTunes.